Fan Forum - Nathan Fillion & Stana Katic #35- "I don’t know if she’s more beautiful in real life or if she’s more beautiful on camera." Nathan Fillion & Stana Katic #35- "I don’t know if she’s more beautiful in real life or if she’s more beautiful on camera." 1. Because their chemistry doesn't stop when the cameras do. Nathan: Absolutely! I can not even watch her. (Laughs) No, seriously, there is an inexplicable chemistry between us. 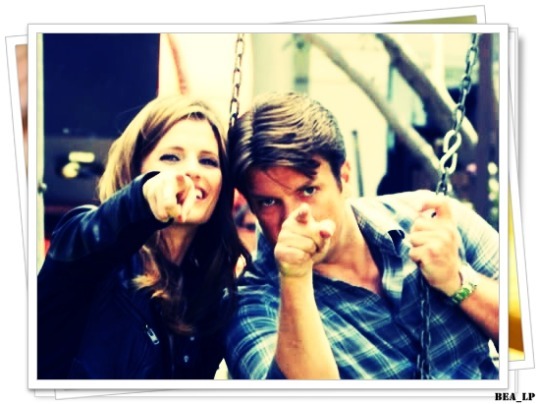 Stana: Complicity is born between us immediately. It can not be explained and even less worked or copied. It's a great title.. Thanks Sandy!